The most basic part of the WeMo line is the WeMo Switch, a simple on/off switch that hangs out on a standard wall outlet and connects to your home's WiFi network. The standard Switch is $39.99 today, $10 off its regular price. If you prefer a more integrated look, the WeMo Light Switch replaces a standard light switch fixture in the same way. It's also $10 off a $50 retail price. Moving up, the more advanced WeMo Insight Switch is on sale for $47.99, $12 off its regular price. This model works just like the other outlet, but adds the capability to report on energy usage to the app or your email address. 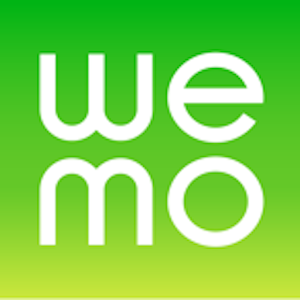 If you want something a little more automatic, the WeMo Motion is a basic motion detector that can activate a remote WeMo Switch, Light Switch or Insight Switch without a schedule or input from the app. (This item won't do anything by itself.) Amazon has the Motion for $39.99, a full 33% off the retail price. A combination pack that includes one WeMo Switch and one WeMo Motion is $59.99, 25% off. All these WeMo accessories work together once they've been connected to your home's WiFi, and can be turned on or off via the app or pre-set schedules. Cameron Summerson has an in-depth review of the entire system, and you can get the free app right here. As always with Amazon's Gold Box deals, everything is eligible for free two-day shipping for Prime subscribers, and the sale will end after today.